CHCI-API Energy Graduate Fellow, Gabriela Sosa, led an instructive discussion on how to increase the presence of Latinos in the STEM fields, particularly in the area of geosciences. CHCI-Motorola Foundation STEM Graduate Fellow Amber Seira, expanded on the conversation about Latino representation in STEM, particularly in the field if cyber security. Click on the links below to view the full event albums and to download copies of their white papers. 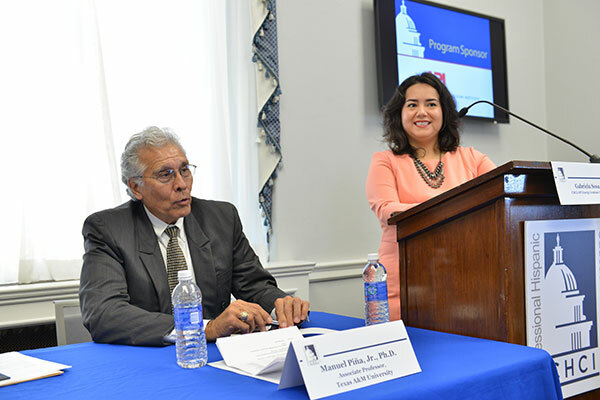 The CHCI 2016 Capitol Hill STEM Policy Briefings were made possible by the generous support of ExxonMobil, the American Petroleum Institute, Motorola Foundation, and Southwest Airlines—the official airline for CHCI’s Leadership Programs. 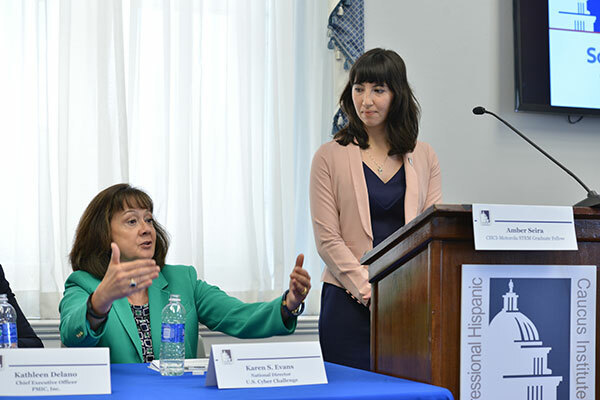 The CHCI 2016 Capitol Hill Policy Briefings are the culmination of eight months of hard work for CHCI’s Graduate Fellows. They have dedicated countless hours to prepare their briefings, from writing the white papers to organizing their panelists. CHCI shares great pride in their accomplishments and encourages everyone to read their white papers.